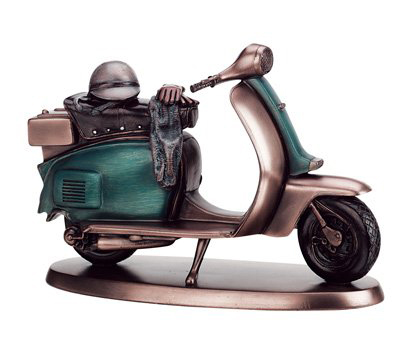 This classy little Lambretta statuette measures 6.5″ and weighs in at a hefty 2 lbs. 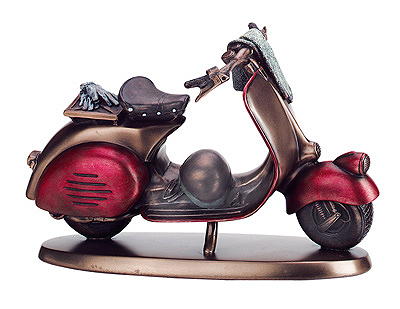 It’s made out of cold cast resin so it’s remarkably detailed. $40. Thanks to ScooterSwag’s own Cassie for this great find! This statue is part of Damion F’s collection. 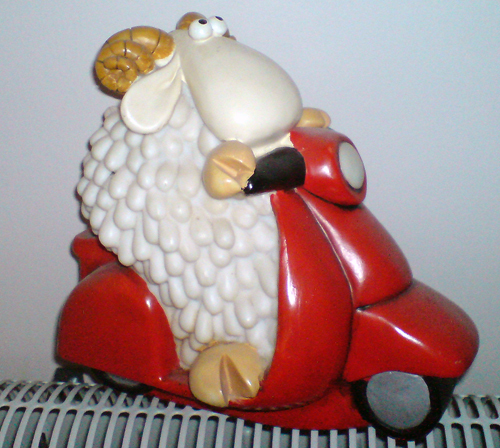 It’s marked “Arte Romera” and is approximately 12″ tall. 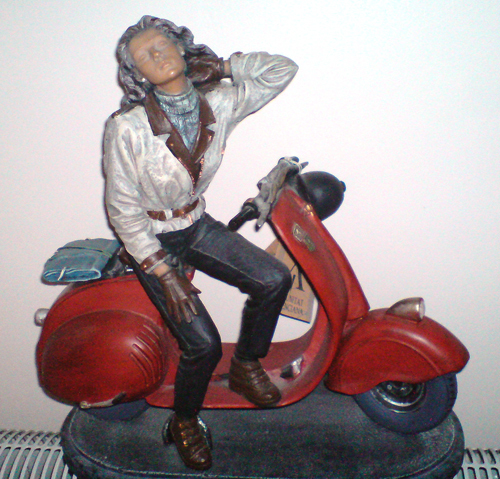 Thanks to Damion F. for this photo of a figurine from his collection. 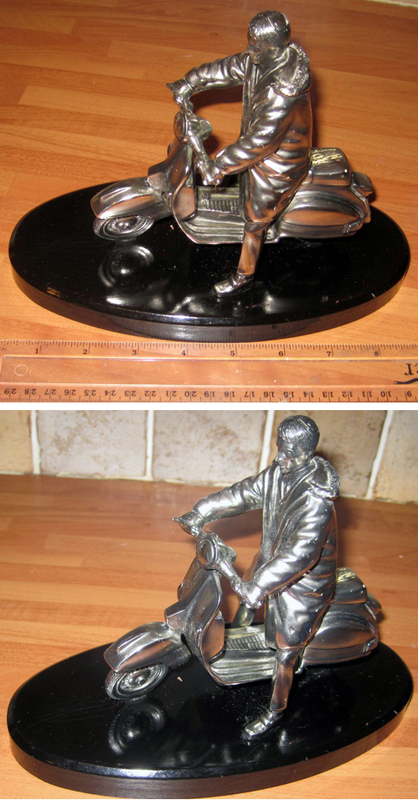 No markings are obvious but he did say this was from a series of animals on scooters including a frog!